Twitter-owned live video streaming platform Periscope received an update on Wednesday that introduces a new feature enabling broadcasters to earn revenue for the first time. Since Periscope's inception, viewers have embraced the "like" or "heart" function as a way to show their appreciation for broadcasts while they're streaming, but until now there's been no means for users to reward broadcasters monetarily. However, as of this week, viewers can now purchase "Super Hearts" and reward live broadcasters, who can then cash out the value of the virtual goods at the end of each month. The hearts are similar to "cheering", the paid reward in rival Amazon broadcast platform Twitch. 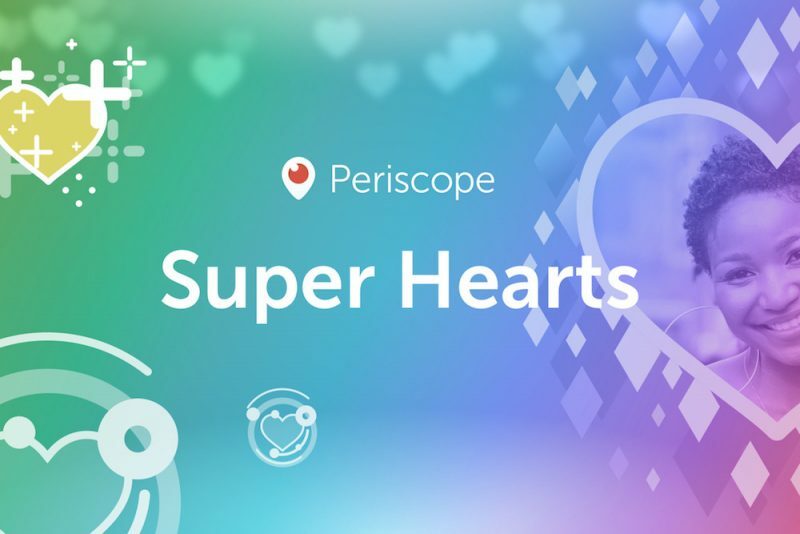 Any user of Periscope can buy and send Super Hearts during live streams, but not for replays. Hearts are purchased within the app using newly introduced virtual currency, Periscope Coins, which range in price from 99 cents for 1,050 to 132,650 for $100. Super Hearts come in three types with increasing price, in order to enable viewers to reward broadcasters with larger amounts in one go and appear higher up in the live chat stream. Broadcasters who gain Super Hearts will see them as stars in their profile, and to cash them out they have to enroll in Periscope's new "Super Broadcasters" program, which requires filling out an application and tax form. In before Apple demands 30%. Luckily they bought Jian-Yang's "Hot Dog, Not Hot Dog" tech. I think you're too late. This falls right in line with Apple's guidelines about in-app "tipping" a couple of weeks ago. I can see Apple either demanding the "cheering" tool be disabled in the iOS app or for the app developer to pay the fee. I really hope this platform works. Directly paying for content instead of subsidizing through ads is the best way to build a relationship between a consumer and a creator.